As a Canadian company, we dream of nothing more than a couple of local brews on a dock overlooking a calm lake, a hike through deciduous trees and camping atop jutting mountains, a tromp through snow-covered city streets in biting -20 degree temperatures. Being Canadian means handling four seasons - more than most. It means being able to take on challenges as they come and rush across a frigid, slush-filled city against the snow to get your business open for the day and happily serve your customers. Being Canadian means being part of a budding ecosystem of successful endeavours in entrepreneurship and a growing technology sector. We are proud to be based in such an incredible country, and know that you are, too! Whether you're a small business owner from Toronto, a leading tour guide operator on the beautiful east coast, a fitness expert on the jovial west coast, or a mountaineer riding a polar bear through the north (isn't that what we do?) - you trust the .CA domain name to provide you the best content, products, and services from Canada. Put your Canadian company on a .CA domain name to connect with your local customers. A .CA domain is the Canadian flag on your digital backpack. Millions of people and businesses trust this uniquely Canadian domain extension and use .CA brand themselves as Canadian online. Whether you're a Canadian small business, an aspiring Canadian entrepreneur, a local Canadian charity, or just an ordinary Canadian with a stellar idea, .CA is the best choice for your domain name. 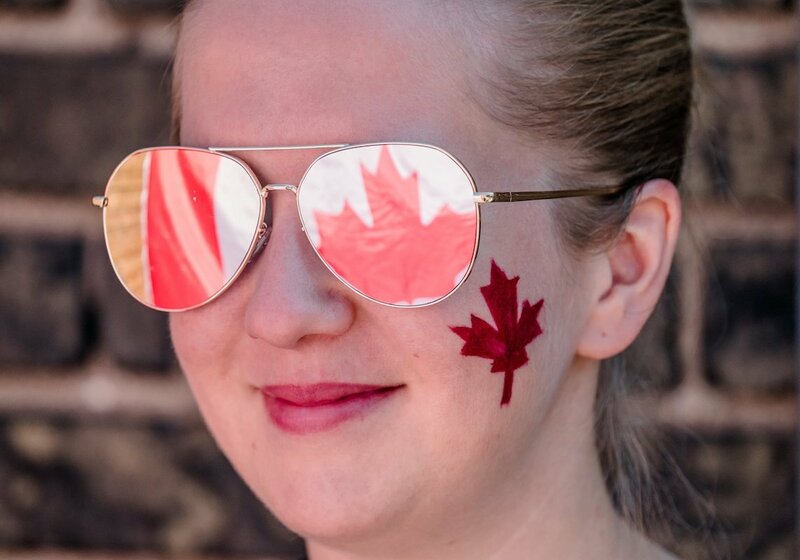 Tell the world you're Canadian with a .CA domain! From 1987, .CA domain names were part of the Internet. Until November 2000, .CA domain names were assigned and registered by a group of volunteers. This volunteer team was led by John Demco of the University of British Columbia (UBC). The university provided the technical and administrative resources to house and operate the registry. Following November 2000, the Canadian Internet Registration Authority (CIRA) took over the registry responsibilities. CIRA is a not-for-profit organization that manages the domain name to this day. .CA is a Country Code Top-Level Domain (or ccTLD) for Canada and is made for Canadians, by Canadians. Anyone who owns a .CA domain name can participate in CIRA, which is based out of Ottawa, Ontario - Canada’s capital. .CA is one of the top used domains globally, with over 2.7 million registered domains. The goal of CIRA is to create an accessible internet for all Canadians, by enforcing .CA domain name holders to abide by the internet accessibility laws of Canada. You've worked hard, and thanks to the supportive system in Canada, you're ready to launch your next endeavour. Have your ideas go live on a .CA domain name. Whether you run a small or large business in Canada, you know how valuable a trusted .CA domain name is to customers and potential employees. Get your .CA domain to tell people where your business lives. Sourcing and using Canadian products and services is what other Canadians want to do. It's important that your local product and service reaches your Canadian audience. Share your work - be it film, books, or more - on a .CA domain name to attract a local audience. If you're a big company with a base or headquarters in Canada, let the public know with a .CA domain name. What do I get with my .CA domain?